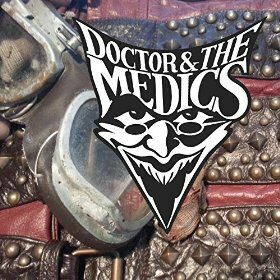 Dr and the Medics released a cover of Dead or Alive’s 80’s Classic “You Spin Me Round (Like A Record)” in May this year and to promote it printed a Ltd Edition of 200 Vinyl copies. the Single is 7″ Black Vinyl, Picture sleeve, over wrapped, unopened. These are only available at the band’s concerts and not through any retail outlets or online stores.